Chicago, Illinois, is an amazing city to visit, offering a diverse selection of museums, tours, free attractions, wedding venues, date ideas, and Italian, vegetarian, burgers, and other restaurants. 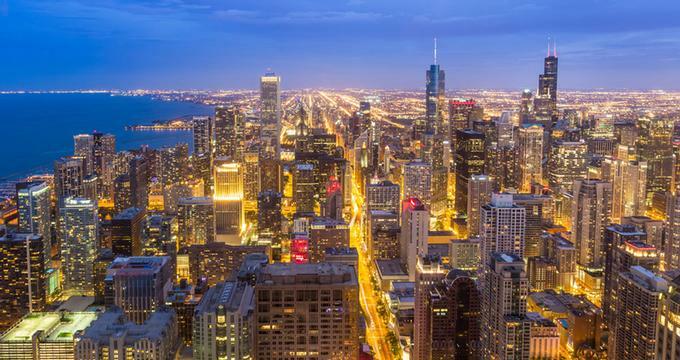 Enjoy a bird’s eye view from 360 Chicago or the Skydeck, spend an afternoon at the Art Institute of Chicago, explore the famous Millennium Park, listen to an orchestra performance, and go for a romantic walk in one of the beautiful parks. 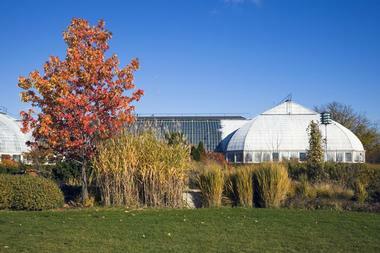 The Garfield Park Conservatory, designed by William LeBaron Jenney, is often referred to as "landscape art under glass". It covers 4.5 acres and is one of the best things to do in Chicago. The Conservatory is home to a range of permanent plant exhibits with fascinating specimens from around the globe, including 200-year old cycads. The Garfield Park Conservatory is one of the top	romantic things to do in Chicago. Here you will also find a wealth of educational, community and family-friendly presentations, and workshops and events throughout the year, from seasonal flower shows to cooking and arts and crafts classes. On par with Paris’ Champs Elysees and New York’s Fifth Avenue, Chicago’s Magnificent Mile is one of the greatest avenues in the world, and walking down its length is a quintessential Chicago experience. 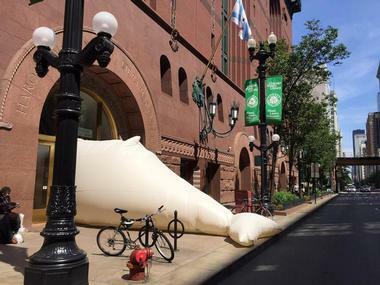 Running for 13 blocks along North Michigan Avenue from Oak Street in the north to the banks of the Chicago River in the south, the Magnificent Mile is home to an array of luxury hotels, world-class shopping, award-winning restaurants, lively entertainment and beautiful architecture. Extending a full square mile from North Michigan Avenue, the fashionable district presents locals and visitors alike with over 60 hotels, 275 restaurants, 460 stores, and a variety of unique attractions and entertainment. 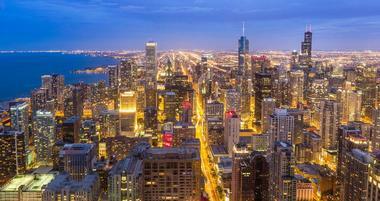 The Magnificent Mile is one of the top romantic places in Chicago. 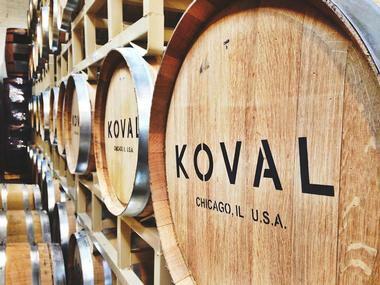 If you are wondering what to do in Chicago today, this is a great place to start exploring. From top retail brand names and fine dining establishments to ever-evolving exhibits and shows, theater, live music and museums, there is something for everyone along this famous strip. World-renowned for its incredible architecture, Chicago has a plethora of iconic skyscrapers, beautiful hotels, and celebrated homes designed by the globally acclaimed architect, Frank Lloyd Wright. For those who appreciate architecture or want to learn more, the Chicago Architecture Foundation runs a variety of docent-led tours to showcase these impressive works. 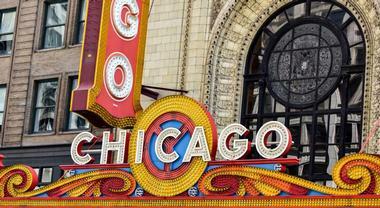 Tours cover vast areas and major Chicago attractions, from downtown to various neighborhoods throughout the city. Some of the most popular tours are the river cruise tours on the Chicago’s First Lady. Voted “Chicago’s Best Tour” by Chicago Reader, the River Cruise takes visitors on a journey through the architectural history of the city, from its humble beginnings as a small back-country outpost and subsequent growth into one of the world’s greatest modern cities. Tours last around 90 minutes and tour-goers get a good look at over 50 incredible buildings. If you want something a little different, you can go on one of the special cruises, including the “Capture Chicago Photography Cruise,” where you can get the perfect shot of some of Chicago’s most iconic buildings and the “Twilight River Cruise,” where you can sip cocktails against the backdrop of the city skyline in the soft twilight. Formerly known as the John Hancock Observation Tower, 360 Chicago is one the city’s most popular attractions and one of the best places to visit in Chicago. 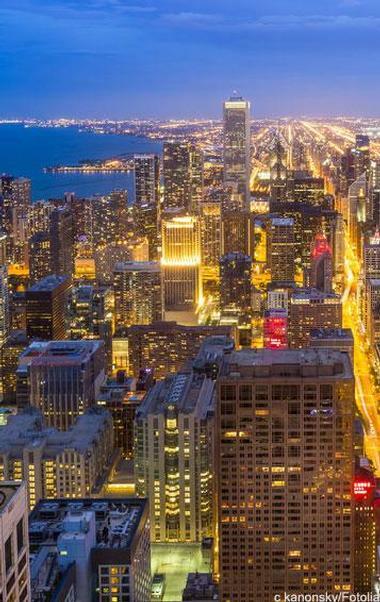 Conveniently located on the 94th floor of the John Hancock Center along the famous Magnificent Mile 360 Chicago soars 1,000 feet above the city, boasting breathtaking views of Lake Michigan and the city. The observation deck offers visitors an unparalleled state-of-the-art experience with TILT, a moving observatory that tilts out over the city for out-of-this-world vistas (temporarily closed for maintenance, so be sure to check the web site). Learn all about the history of the city’s nine culturally unique neighborhoods with an interactive display on the concourse level or relax at the Architect's Corner Café on the 94th floor and soak up the unbelievable views. Visiting Andersonville feels like being transported to another century. This charming Chicago neighborhood with strong Swedish roots is deliberately free of large chain stores. Strolling along the historic 1-mile-long commercial street reveals quaint boutiques, museums, cafes, galleries, and restaurants. Andersonville’s architecture has a strong Swedish heritage, which has earned it the title of a National Historic District. Andersonville is famous for its vintage shops, the Swedish American Museum, Women & Children First Bookstore, and some of Chicago’s best breweries. 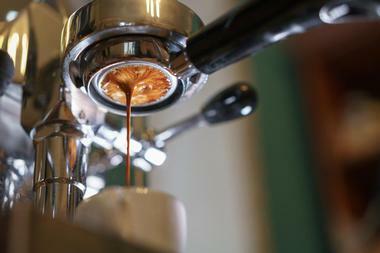 Check out the Alley Cat Comics bookstore, the very Swedish historic Simon’s Tavern, the Coffee Studio, which serves probably the best coffee in Chicago, and the Neo-Futurarium theatre. 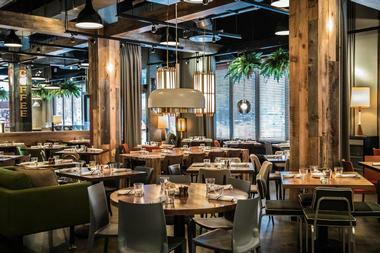 Located in Chicago’s Bucktown Neighborhood, The Bristol is a relaxed, casual restaurant that has quickly become a staple for the city’s foodies, gourmands, and gastronomes looking for creative and innovative fare. Spread over two floors, the upper level consists of a private dining space for special events while the eatery boasts stylish, contemporary décor and chic appeal. 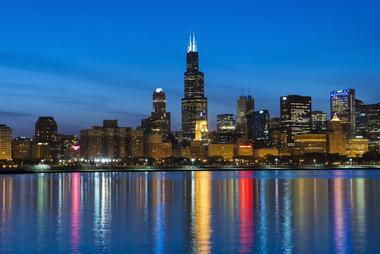 If you are looking for romantic date ideas in Chicago, this is a great place to try. An all-American menu featuring farm-to-table produce, fresh charcuterie, and handmade pasta is served by professional, friendly staff and an impressive wine list gives diners options from over two hundred vintners and beers from around the globe. The Skydeck is located on the 103rd floor of the former Sears Tower and gives visitors heart-stopping views of four states. Glass-encased observation boxes provide uninterrupted 360-degree views while the Ledge, a glass balcony that extends 4.3 feet out from the Sky Deck, gives brave visitors unrivaled views quite literally over the city. Discover the history of the city and the Sky Deck by browsing the museum-quality exhibits and take in the theater presentation called “Reaching For The Sky” en route to the 103rd floor. 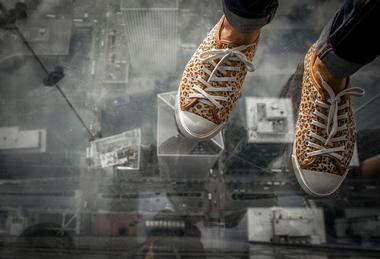 Relax over a Chicago-style pizza and refreshing beverages at Willis Tower on the 99th floor once you are done. 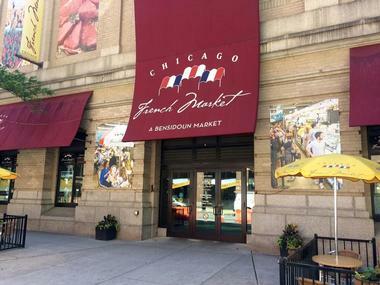 Whether you are a visitor to Chicago or a local foodie, Chicago French Market is one of the best spots for sampling the city’s culinary delights. Lively, always crowded, and full of delicious aromas, Chicago French Market has more than 30 vendors who offer a huge range of fresh and prepared food. There are stalls with ingredients for cooking at home as well as a few more relaxed dine-in places and easy grab-and-go stalls. The market is open all day, every day, and whatever you are in the mood for, you will most likely find: Meatball subs, Belgian fries, lobster rolls, ceviche, empanadas, mac ‘n cheese, French macarons, chocolate truffles, and much more. All these culinary delights are accompanied by live music, happy hour specials, and monthly special events. 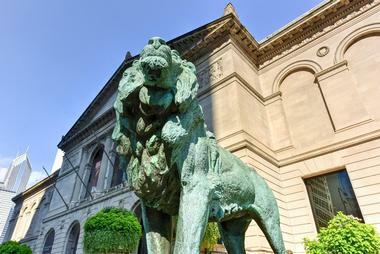 One of the finest art museums in the world, The Art Institute of Chicago is a world-renowned encyclopedic art museum that houses more than 300,000 works of art. 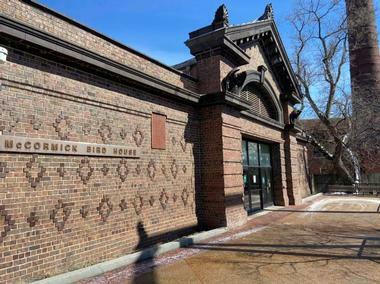 Located in Grant Park within Chicago’s Landmark Historic Michigan Boulevard District, the museum features works by world-famous artists. Here, you can see a variety of timeless artworks, including American Gothic by Grant Wood, Seurat's A Sunday Afternoon on the Island of La Grande Jatte and Edward Hopper's Nighthawks. The museum’s collection spans genres such as Impressionism and Post-Impressionism, Old Masters and American Art, European and American decorative arts, modern and contemporary art, Asian art, architecture, and graphic design, giving you a complete and diverse experience. The museum, which is the second largest in the United States next to the Metropolitan Museum of Art, is also home to the Ryerson & Burnham Libraries. Located in Chicago’s Gold Coast neighborhood, Drumbar is a stylish, cocktail-focused rooftop bar atop the luxurious Raffaello Hotel. An intimate indoor lounge with deep-seated couches and cozy booths as well as a large outdoor terrace that looks out onto breathtaking views of Lake Michigan welcome patrons to this chic, contemporary bar, perfect for either casual post-work drinks or romantic sundowners. The bar serves an array of signature cocktails, spirits, wine, and beer, as well as a small food menu with simple bar bites such as stuffed peppers, hummus, olives, and charcuterie boards. Step into the heart of Greece with an unforgettable evening at Taxim. Serving a menu of regional Greek cuisine and wine from Grecian islands, mountains and villages, Taxim takes you on an amazing culinary journey. Owner David Schneider has put together a menu inspired by the Aegean-style cooking he learned from his Greek mother with mezes of piperies, small plates of rivithia - pureed chickpea paste, roasted peppers, stuffed eggplant, and zucchini. Entrées include crispy roast chicken with Greek oregano, duck gyros, and wood-grilled lamb chops. An impressive 30-bottle wine list offers unique Greek varietals from quality producers like Skouras and Sigalas instead of the usual retsina and roditis, and friendly, efficient staff are ready to serve you in style. 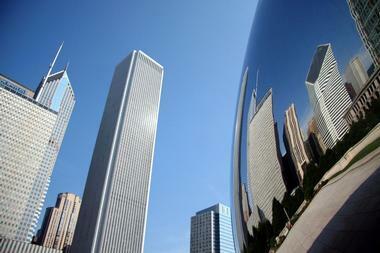 Built to celebrate the Millennium, Millennium Park is a vast public park located in the Loop region of Chicago. The park, which is open to the public year-round, features a wide variety of public art, activities, and entertainment, ranging from architecture and landscape design, sculptures and artworks, exhibitions, concerts, and family activities. Connected to parts of Grant Park by the Nicols Bridgeway and the BP Pedestrian Bridge, the park sits atop Millennium Station, and is easily accessible to visitors. Millenium Park also has landscape attractions such as the Jay Pritzker Pavilion, the Crown Fountain, Cloud Gate, and the five-acre urban sanctuary of Lurie Garden. In the summer, the park becomes the beating heart of the city, with a range of diverting things to see and do. There are film showings and series, live music concerts, and even summer workouts to keep you in shape. If you are looking for fun places in Chicago, Millennium Park is a great spot. Founded in 1891, the Chicago Symphony Orchestra is one of the “Big Five” – the top five orchestras in the United States. In fact, it is quite frequently hailed as one of the greatest orchestras in the world. Playing from its home at Symphony Center in downtown Chicago, the orchestra performs over 100 concerts a year and features a variety of local and international conductors and musicians. The group also plays at the annual Ravinia Festival every year on Chicago’s North Shore, which serves as their venue for the season. Currently playing under the leadership of musical director Riccardo Muti, the orchestra has seen many famous conductors make their debuts at Ravinia, including Seiji Ozawa, James Levine, and Christoph Eschenbach. Dusek's Board and Beer is a cozy and inviting restaurant that aims at bringing to life the idea of the original owner, John Dusek. He pictured a multipurpose community hall with a restaurant, bar, and performance venue. While the performance venue is not up and running at the moment, the restaurant and bar are good to go. They are decorated with refurbished wood–and–wrought iron tables, Edison bulbs, and a tin ceiling, a nod to the building’s 19th-century roots. The menu is adventurous and creative; crispy pig tails, foie gras and buttery Maine lobster are just a few of the surprising delights. The wine and beer list is just as good, with a range of non-local drafts and Czech brews on tap and beer-based cocktails. Meli Cafe is somewhere between a diner and a favorite neighborhood eatery, cozy, friendly, and full of great food. It is known all over Chicago for its fabulous brunch with freshly squeezed juice, multigrain pancakes, house-made marmalade, and more healthy dishes than you would expect. Meli is Greek, but not very much so, just enough to feature dishes like kefte and saganaki. There is a typical breakfast and brunch menu, with the difference that the eggs are free-range, the maple syrup is organic, the challah bread, butter, and ketchup are made in-house, and everything is made fresh and of the best possible ingredients. Of their three locations, only Dearborn offers dinner; the others two locations only serve breakfast, lunch, and brunch. One of Chicago’s top attractions, the Chicago Cultural Center is not only a beautiful example of architecture and design, but it also hosts a wide variety of fantastic free events for the public throughout the year such as music, dance and theater events, art exhibitions, films, lectures, and family events. The magnificent Chicago landmark features two large and awe-inspiring stained-glass domes. The world’s largest stained glass Tiffany dome rests on the south side of the building. It is 38 feet in diameter and made from 30,000 pieces of glass. The north side on the other hand boasts a 40-foot-diameter dome with an intricate Renaissance pattern made of some 50,000 pieces of glass. Each year, the cultural venue hosts a wealth of artists from all over the world and invites them to present an array of artistic and cultural performances for the public to enjoy. Established in 1988 in Chicago’s warehouse district, Mars Gallery is hip and funky art gallery with a reputation for high-quality modern art and popular events. The gallery occupies a 19th century brick and timber loft and provides home to a large variety of art that includes contemporary, abstract, modern pop art, and figurative works from renowned as well as emerging artists. The artwork is displayed in galleries on three stories that are full to the rafters with art. Mars Gallery offers a superb experience for reputable art dealers looking for something new as well as anyone looking for a piece of art to enhance their home or office. Mars Gallery also offers custom framing and advice in choosing an appropriate artwork. Founded in 1988, the Lookingglass Theatre Company is a visually oriented theater that specializes in cutting-edge theatrical works and contemporary literary adaptations. Started by a group of graduates from Northwestern University, the theater thrived and subsequently became one of the leading producers of original works. The company is renowned for its creation and presentation of ensemble-based theatrical techniques, and they were the recipients of the 2011 Tony Award for Outstanding Regional Theatre. Notable world premieres by the theater include Mary Zimmerman’s award-winning Metamorphoses, David Schwimmer’s adaptation of Upton Sinclair’s The Jungle, and David Catlin’s tribute to Lewis Carroll, Lookingglass Alice. The theater also runs a variety of community and education programs focused on transformation, innovation, and capturing the imaginations of audience members. Cozy and inviting, Piccolo Sogno (meaning “little dream”) is a softly lit restaurnt with deep blue walls and crisp white linen tablecloths. The menu is seasonal and features fresh, rustic Italian cuisine accompanied by an outstanding all-Italian wine list. Owned by partners Tony Priolo and Ciro Longobardo, whose dream was to bring a slice of Italy to Chicagoans, Priolo’s menu features well-loved classics such as hand-tossed, wood-fired pizzas, and garden fresh salads. 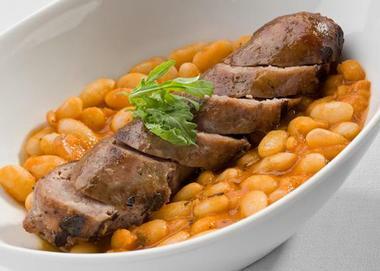 Naturally, they also serve homemade pastas and have a selection of Mediterranean-based meat and fish dishes. The wine list boasts more than 400 carefully chosen vintages, which can be enjoyed by the bottle or the glass, and professional staff members are on hand to recommend the perfect wine to pair with your meal. Chicago Pizza Tours offers guided tours (on a bus called Dough Force One) of some of Chicago’s finest neighborhood pizzerias. The Original Chicago Pizza Tour gives visitors the chance to explore some of the city’s most popular producers of Chicago’s defining menu item one slice at a time. Tour-goers stop by a variety of culturally significant pizzerias and trattorias, delving into the innerworkings of the kitchens where the masterpieces are made, meeting the chefs behind the delectable creations, and discovering exactly which ingredients go into the making of the perfect pizza. Sample a variety of pizzas along the way, from stuffed crust to deep dish, from tavern-style to traditional Neapolitan. You can also take advantage of an evening party tour, which includes cocktails as well as a walking tour of the city’s best pizzerias. 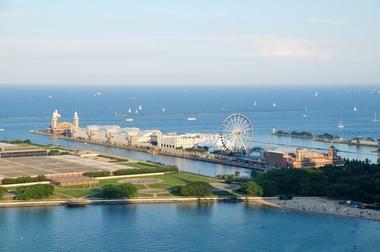 More things to do in Chicago: Navy Pier, Adler Planetarium, the Peggy Notebaert Nature Museum, the Field Museum, the Museum of Science and Industry. Lincoln Park Zoo and Shedd Aquarium. Jam is a modern and sleek place that serves such a fantastic brunch that people from all over Chicago give up their Sunday sleep-in for a taste. 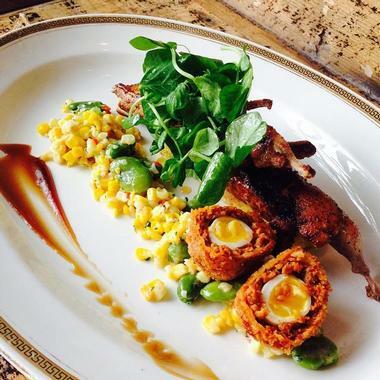 Located in Ukrainian Village in Chicago's Logan Square neighborhood, this restaurant is the playground of Chef Jeffrey Mauro, who uses fresh seasonal ingredients to bring a surprising twist to what we expect from a brunch menu. 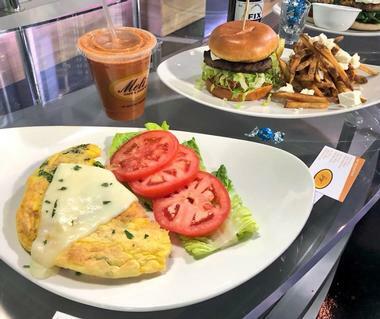 Forget Eggs Benedict, the only thing chef Mauro's egg sandwich has in common with the classic breakfast sandwich is eggs. 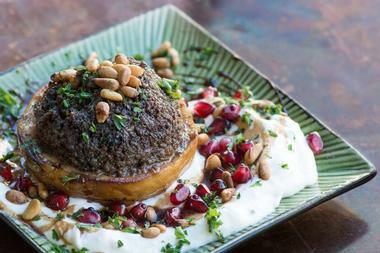 His comes with pork shoulder, plum preserve, ricotta salata and roasted fingerling potatoes. The menu is not large, but everything is delicious and presented as a piece of art. Be prepared to wait, the word is out. Moody Tongue is a popular Chicago Pilsner microbrewery opened in 2012 that makes a range of exotic beers using unusual ingredients, and they are aged in mostly wine barrels. They call it “culinary brewing,” and it results in creations such as a Saison with Asian pears aged 12 months or Caramelized Chocolate Churro Baltic Porter. Their food menu is equally tempting. You’ll fin oysters and a magnificent German 12-layer chocolate cake. The 10,000-square-foot brewery is located in a former glass factory and has a super modern beautifully designed tasting room. Vast and open, it has a cozy corner with a library and comfortable chairs around a fireplace. The 12 tap handles always have four year-round beers. The rest are rotating beers, a sour, and a chocolate barley wine. 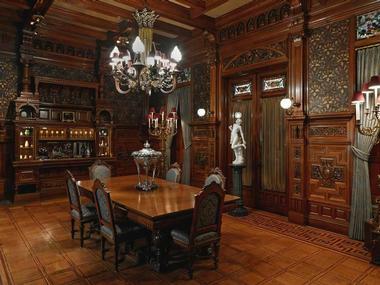 The Richard H. Driehaus Museum pays homage to the Gilded Age home of banker Samuel Mayo Nickerson and stands as one of the grandest residential buildings of 19th-century Chicago. Founded by Richard H. Driehaus in 2003, the house has been beautifully restored to its former glory and serves as an exquisite example of former architecture and design trends and techniques. Visitors to the museum are able to explore the past while meandering through the magnificent galleries and collections of elegant, historically accurate furnishings, décor, and artworks, including pieces from the Driehaus Collection of Fine and Decorative Arts by artists such as Louis Comfort Tiffany and the Herter Brothers. 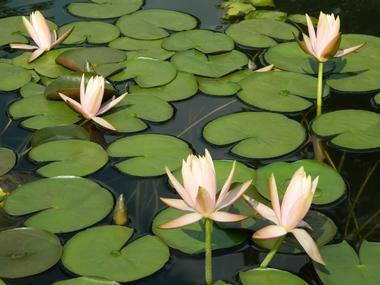 Also known as the Lincoln Park Lily Pool, the Alfred Caldwell Lily Pool is a National Historic Landmark located on Fullerton Parkway in Lincoln Park. Designed by Alfred Caldwell in 1936, the pool is an outstanding example of Prairie School landscape architecture and is now open to the public for viewing. Managed by the Lincoln Park Conservancy, the pool has curving walkways, winding stepping stone limestone pathways, and circular benches where visitors can sit and admire the scenic vistas. A shelter influenced by the organic architecture of Frank Lloyd Wright looks is built out over the pool, and the Fullerton Gateway, a uniquely styled entrance to the property, is another excellent example of Prairie School landscape design.